Every long weekend needs a great playlist, and we are here to serve you. 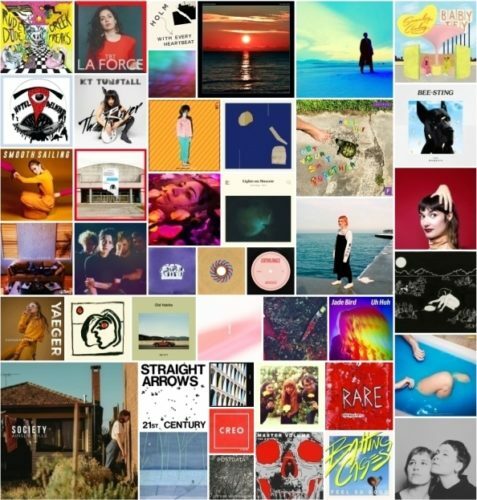 More accurately, the 44 artists and bands (45 songs) featured on the Weekend Showcase 4.34 edition are doing the chores. Turn up the volume and blast these great songs that come Australia, Canada, Denmark, England, Germany, Netherlands, New Zealand, Scotland, Sweden, and the United States. The playlist and tracklisting, as usual, follows the list of articles from the past week. The SoundCloud version has all the tunes of course, although some may require a GO account, while the Spotify playlist has 42 songs. Enjoy the great music and discover music’s hidden gems. Happy long weekend everyone (and Happy Father’s Day to those celebrating in New Zealand and Australia). Supporting labels: +1 Records, Arts & Crafts, ATO Records, AWAL, Babe City Records, Barsuk Records, Blackwire Records, Bloodshot Records, Dine Alone Records, Fishrider Records, Future Classic, Ghostly International, Grand Jury Music, Graveface Records, Hardly Art, Just Push Play, Kollektivet Records, Luminelle Recordings, Merge Records, New West Records, Park The Van Records, Physical Education Recordings, PIAS, Rice is Nice Records, Rostrum Records, Sureshaker Music, Tambourhinoceros, Tough Love Records, Yellow K Records.